Queen of the South is an American 60 minute scripted crime television series, which kicked off on June 23, 2016, on USA Network and is broadcast every Thursday at 21:00. The show is currently in its 4th season. USA Network has officially confirmed the renewal of Queen of the South for Season 5. The exact release date is yet to be announced so far. Sign up to track it down. 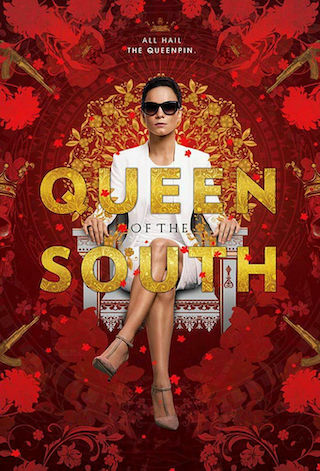 Queen of the South is based on the literary page-turner "La Reina Del Sur", the top-selling novel by the internationally acclaimed author Arturo Pérez-Reverte, which also yielded a Telemundo series that became one of the most popular telenovelas of all time for USA's sister network. It tells the powerful story of Teresa Mendoza (Alice Braga). When her drug-dealing boyfriend is unexpectedly murdered in Mexico, Teresa is forced to go on the run and seek refuge in America, where she teams with an unlikely figure from her past to bring down the leader of the very drug trafficking ring that has her on the run. In the process, she learns the tools of the trade and strategically positions herself to become the leader of the Cartel. October 1, 2018 - USA Network today announced a fourth season renewal for the hit drama QUEEN OF THE SOUTH. Starring Alice Braga ("I Am Legend"), the series is based on the literary page-turner "La Reina Del Sur" by internationally acclaimed author Arturo Pérez-Reverte. Season 4 is set to return in 2019.